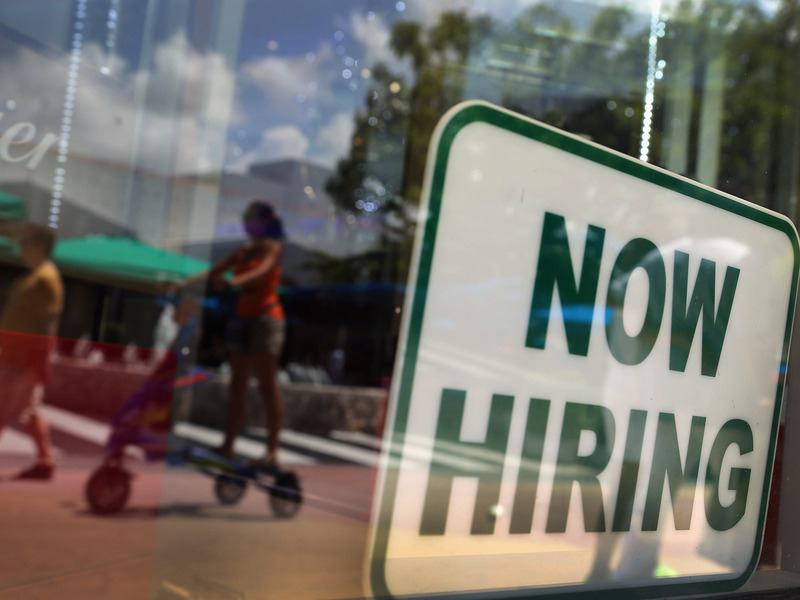 'Slow And Steady' Jobs Report Expected : The Two-Way As far as the economy goes, the labor market has been something of a tortoise — slowly moving along. Housing has been the hare — moving ahead quickly. We'll hear much more Friday morning when the March data on jobs and unemployment are released. Although economists had been expecting to hear that the U.S. economy added 200,000 jobs in March, the news is out and the number is far less. Just 88,000 jobs were added to private and public payrolls, the Labor Department reports. The jobless rate still edged down to 7.6 percent — but only because nearly half a million fewer people were in the labor force. The always anxiously anticipated monthly employment report from the Bureau of Labor Statistics is due at 8:30 a.m. ET and NPR's Yuki Noguchi says economists expect to hear that, as in previous months, there was "slow and steady" job growth in March. -- Net growth of 200,000 jobs, down from the estimated 236,000 jobs added to private and public payrolls in February. -- A jobless rate of 7.7 percent, which would be unchanged from February. Think of the tortoise and the hare, Yuki told host David Greene on Morning Edition. When it comes to the economy, the labor market is the tortoise — slowly moving along. On average, about 160,000 jobs a month have been added to payrolls in the past three years. Meanwhile, the jobless rate that hit its recent peak of 10 percent in October 2009 has gradually moved down. The hare — a part of the economy that's growing quickly — would be housing, Yuki added. As for what's ahead on the jobs front, she said most of the possibly negative effects of the federal government's sequester (those automatic spending cuts that are kicking in now) won't be felt for months. For much more on how the sequester is affecting federal agencies, check the conversation David had this morning with six of NPR's correspondents. Bloomberg News, by the way, says economists it has spoken to expect to hear there were 190,000 jobs added to payrolls last month — while the jobless rate stayed at 7.7 percent. Reuters' preview is in line with what Yuki's hearing: "The economy probably added 200,000 jobs last month, with the jobless rate steady at 7.7 percent." We'll post on the news from the report right after it's released. One other thing to bear in mind: Those figures from February (236,000 jobs added to payrolls and a 7.7 percent unemployment rate) might be revised in Friday's report.